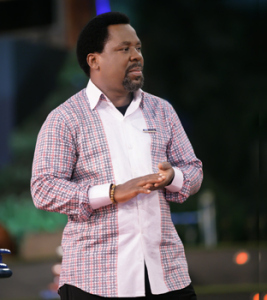 The Sunday Service of January 18, 2015 at The SCOAN was remarkable in many ways. The atmosphere was divinely electric and as usual the congregation was lively and animated by the pervading expectation of receiving something from Heaven. The uplifting renditions of the choir prepared the minds of worshippers for the deep exhortation that was to follow.